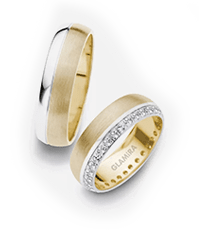 Gold has always been a classic and a timeless choice for a wedding band. 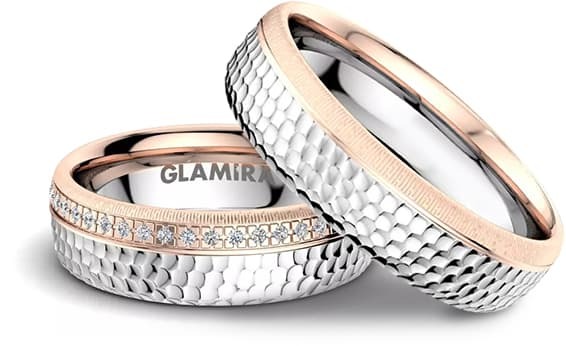 The natural warm look and beautiful luster makes the gold wedding ring romantic and a desired metal. 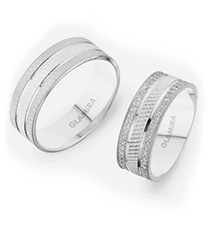 The hardness and durability of gold varies depending on karat, so according to your preference, you can choose the karat that you desire. 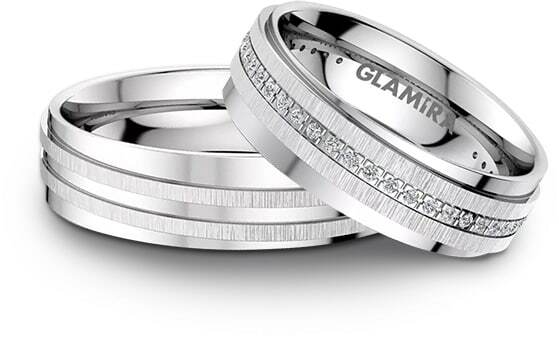 The most prestigious metal for a wedding ring is definitely Platinum. 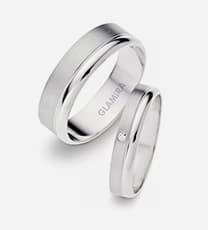 Platinum has a very high durability so it feels heavier than other metals. 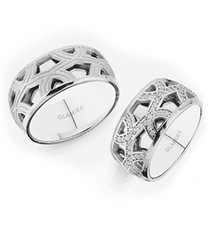 It’s 30 times rarer than gold and 40% heavier than 14K gold. 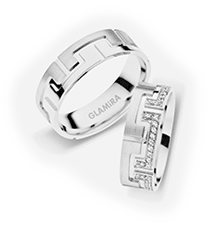 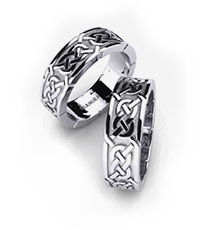 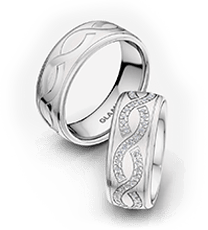 The density, purity and rarity makes the platinum ring extremely valuable and a protector therefore a platinum ring withstands for years. 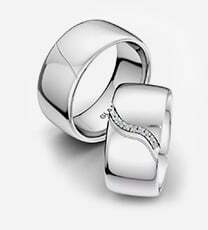 Moreover, its satin sheen and beautiful soft white hue have a natural, stunning look. 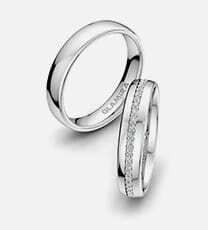 ENGAGEMENT RINGS Engaging somebody is supposed to be born on the left ring finger which is believed to be the vein of love. 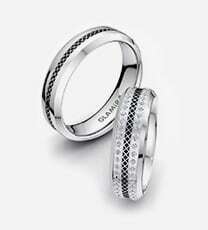 In this way, the couple believed to be joined at the heart. 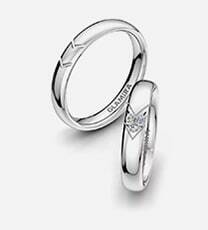 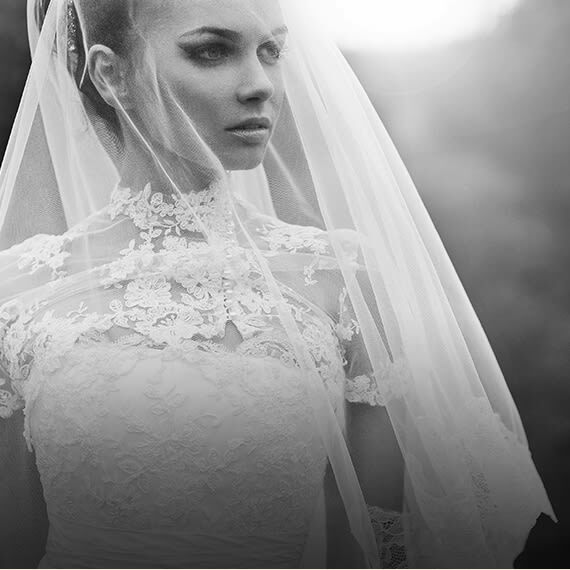 Indicate your devotion with a lifetime engagement ring! 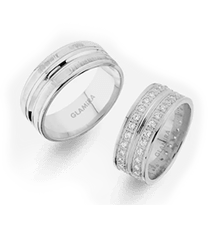 ETERNITY RINGS Eternity rings symbolise eternal love and lifetime memories.